Start a World of Tanks miniature collection at warminiature.com! Tanks are great, aren’t they? Massive, hulking beasts of war, loaded with more heavy metal than the average Metallica album. One major design flaw is that their unbridled girth cannot be contained by the average mantelpiece or shelf. Well, there is a solution! 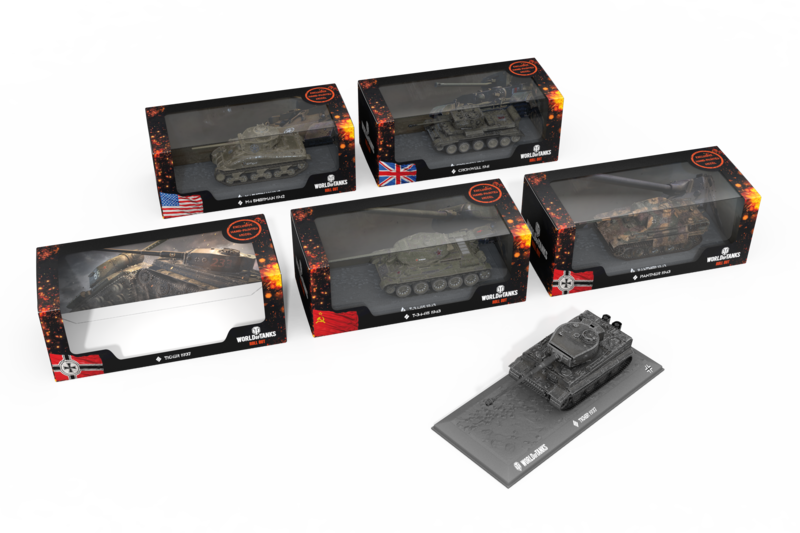 Wargaming.net has joined forces with warminiature.com to introduce the official World of Tanks miniatures collection, starting with some of the most popular tanks from the games, including the Tiger I, Cromwell, and M4A2 Sherman! Designed in close collaboration with Wargaming, the 1/72 scale tanks are produced by Solido, a French pioneer in die cast miniatures. The models have moving parts for dynamic display possibilities, and are produced in limited quantities to ensure an incredibly detailed, hand-painted finish. Each tank also comes with a bonus code (redeemable on PC, PlayStation 4, and Xbox One) for a free day of Premium Account, and an invite code to share with a friend!